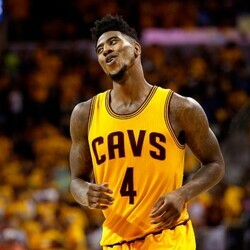 How much is Iman Worth? Iman net worth: Iman is a Somalian-American retired fashion model, actress and entrepreneur who has a net worth of $100 million dollars. Born Iman Mohamed Abdulmajid July 25, 1955 in Mogadishu, Somalia, she is professionally known as Iman (meaning 'faith' in Arabic). She is also credited with being a pioneer in the field of ethnic cosmetics. Iman was discovered in her native environment in Nairobi by photographer Peter Beard, a well-known fashion photographer. Beard followed Iman on the street then approached her about having her picture taken. Though she had never even seen a Vogue magazine, she decided to tell Beard she would do it for $8,000 (the cost of her college tuition). Beard agreed and took the photos back to New York, where he proceeded to 'leak' information about his 'African beauty' discovery, all the while trying to persuade Iman to move to New York. When she finally took the bait, she was met at the airport in New York by dozens of photographers. Throughout the '70s and '80s, she was a favored model in Vogue and Harper's Bazaar. Fashion designer Yves Saint Laurent even devoted the "African Queen" collection to her. 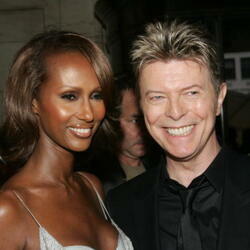 Iman met British rock musician a David Bowie in Los Angeles in 1990 and they married two years later. 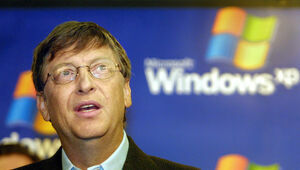 They had one daughter together, Alexandria Zahra Jones, born August 15, 2000. Iman is also stepmother to Bowie's son, Duncan, from a previous marriage. Both children bear Bowie's legal surname, Jones. Iman also has a daughter, Zulekha, born 1978, from her marriage to American basketball player Spencer Haywood.